The Motorola Moto G7 series is expected to be launched at today's event in Brazil. The Moto G7 series is tipped to include four variants-Moto G7, Moto G7 Plus, Moto G7 Play and Moto G7 Power-and it is expected that all variants will be launched today. The event is scheduled to start at 10 am local time (5.30pm IST), and users can stream the live event on the social channels of Motorola. The Moto G7 series is tipped to run on Android Pie stock, and the Moto G7 Plus is expected to be the lot's most premium. The launch event of the Moto G7 series will start in Sao Paulo, Brazil at 10 am local time (5:30pm IST). Users can stream the event live on the social channels of Motorola, and you can confirm your attendance. You can also follow the Twitter handle of Motorola Brazil to get live stream updates just before the launch. The company also makes registrations of interest on the website of the company, and you can register here. 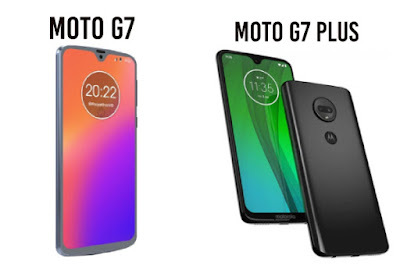 There have been numerous leaks from the Moto G7 series. The Moto G7 and Moto G7 Plus are equipped with a dual rear camera setup, a water-drop-shaped knot and a rear fingerprint scanner. It is expected that the Moto G7 Play and Moto G7 Power will sport wider notches, single rear camera setups and a rear fingerprint scanner. As regards rumored prices, it is expected that the Moto G7 will be sold on European markets at EUR 300 (approximately Rs. 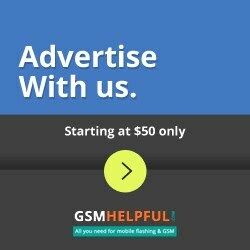 24,400), while the Moto G7 Plus will debut at EUR 360 (approximately Rs. 29,300). The Moto G7 Play will be sold at EUR 149 (approximately Rs. 12,100), while the Moto G7 Power will be available at EUR 209 (approximately Rs. 17,000). The Moto G7 Play is tipped for color options in gold and blue, while the Moto G7 Power is tipped for color options in black and lilac. On the other hand, the Moto G7 is expected to be available in black and white, and the Moto G7 Plus is reported to be available in red and blue. The Moto G7 can sport a 6.24-inch full-HD+ (1080x2270 pixels) display, according to recent leaks. It will be powered by an octa-core Qualcomm Snapdragon 632 SoC with 4 GB of RAM, 64 GB of built-in storage and 3,000mAh of battery. It will also be equipped with a double-camera setup on the back with a 12-megapixel primary sensor with a f / 1.8 lens and a 5-megapixel secondary sensor with a f / 2.2 lens and an 8-megapixel front shooter with a f / 2.2 lens. The phone also has a USB Type-C port, support for 4 G LTE, Bluetooth 4.2 and 3.5 mm audio jack. The Moto G7 Power is reported to have a slightly smaller 6.2-inch HD + screen (720x1520 pixels), the same octa-core Snapdragon 632 SoC with 3 GB of RAM. As the phone's name shows, the Moto G7 Power's highlight will be its battery, which the leak indicates will have a capacity of 5,000mAh. For quick charging, the company will also bundle its TurboCharger with the phone. Other smartphone specifications include 32 GB of built-in storage with an expansion slot, a rear 12-megapixel camera with a f/2.0 lens and an 8-megapixel front shooter with a f/2.2 lens. The Moto G7 Power will also run on Android 9 Pie, like other Moto G7 phones. It's tipped to be the heaviest model of all 193 grams of Moto G7 phones. The Moto G7 Play will pack the smallest screen with HD + (720x1512 pixels) resolution from all Moto G7 smartphones at 5.7-inch. The octa-core Snapdragon 632 SoC will power the phone. The phone's base model will contain only 2 GB of RAM and 32 GB of built-in storage. The Moto G7 Play will include a 3,000mAh battery, a 13-megapixel rear camera with a f / 2.0 lens and an 8-megapixel front camera with a f / 2.2 lens, among other specifications. The phone will have Android 9 Pie on board on the software front. The Moto G7 Plus will have the same display of 6.24 inches as the Moto G7. However, the octa-core Qualcomm Snapdragon 636 SoC will power it. The phone has two versions-one with 4 GB of RAM and 64 GB of storage, and the other with 6 GB of RAM and 128 GB of storage. Both will be supported by expandable microSD card storage slots. The dual-camera setup at the back of the phone will contain a 16-megapixel primary sensor with a f / 1.7 lens and a 5-megapixel secondary sensor with a f / 2.2 lens, among other specifications. The front shooter will be equipped with a 12-megapixel sensor and a f/2.0 lens. The phone, like the Moto G7, will also pack a battery of 3,000mAh. The Moto G7 Plus can also support 27W TurboPower charging, and optical image stabilization is also expected to reduce the blurred effect of images and videos caused by hand movement.